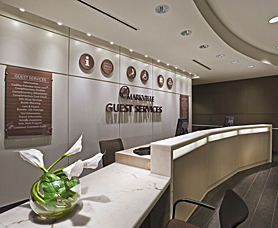 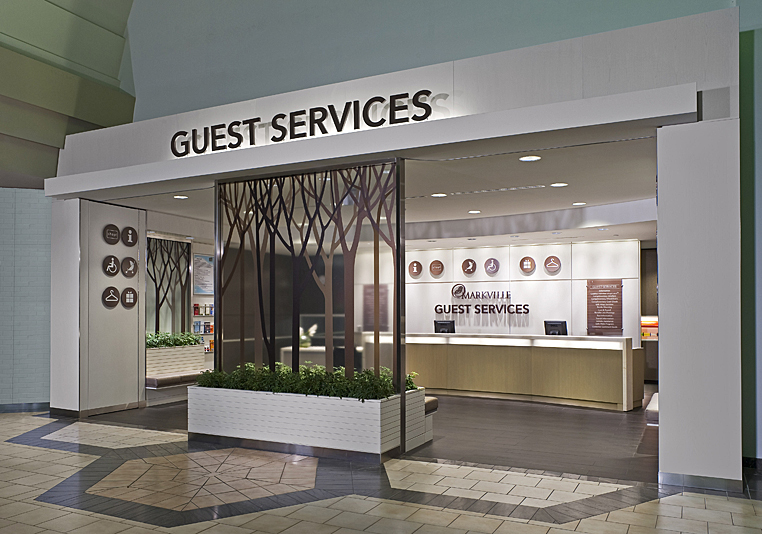 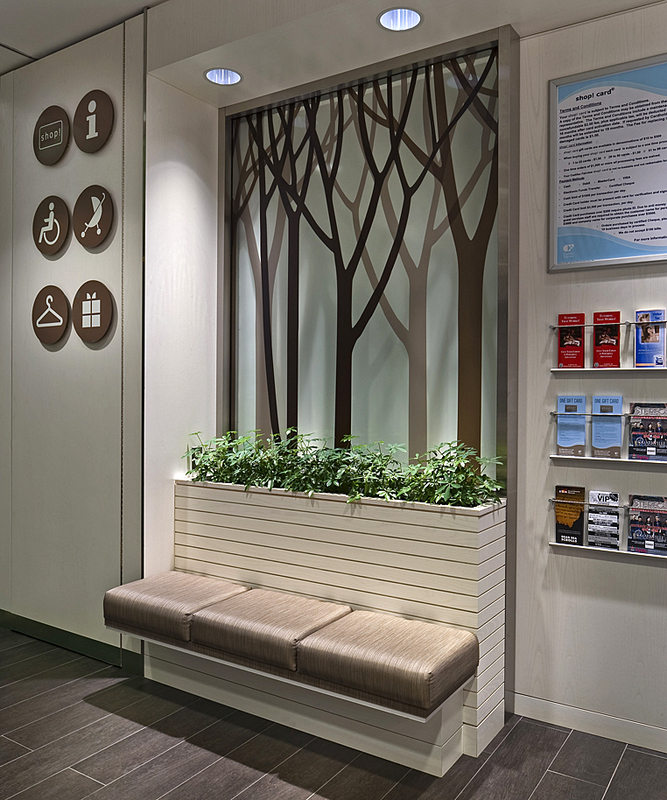 Relocated from a kiosk to a 1,200 sq ft in-line location, this Guest Services was designed to differentiate the mall’s service offering, providing both an expanded level of service and improved customer interactions. 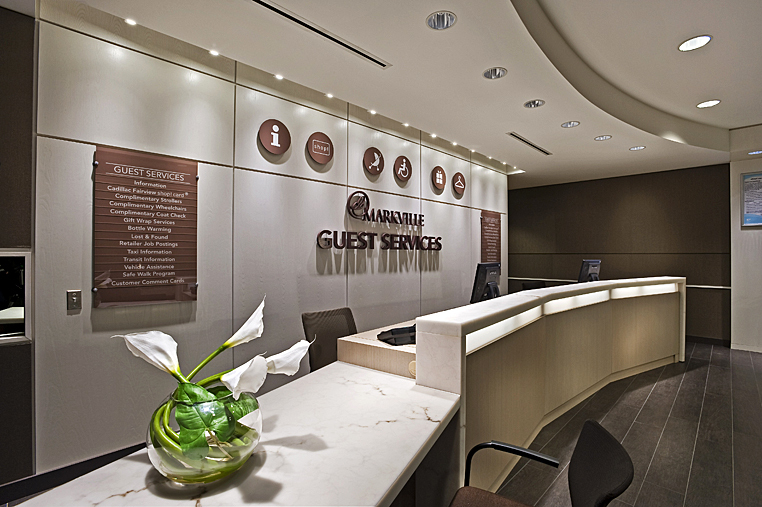 Drawing from the mall ambiance, nature inspired elements including abstract tree motif, built-in planter boxes and wood flooring, blended with quality materials and details ensure a welcoming upscale hotel lobby experience for the mall’s affluent shoppers. With comfortable seating, inviting curved service desk, and easy-to-understand icons representing the available services, the enhanced customer experience sets a memorable and relaxing tone for the mall.